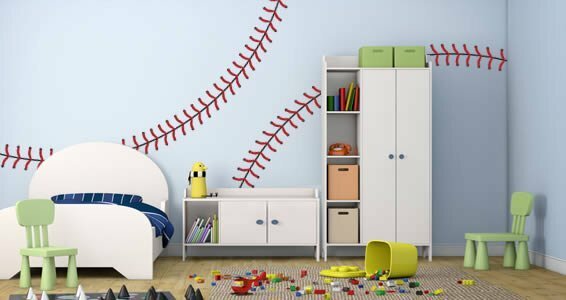 The baseball stitches wall decals comes in a set of 4 sections. 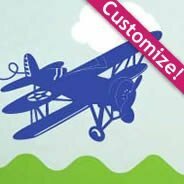 You can assemble each stitch together or seperately, you can also trim the decal to fit your desired space. 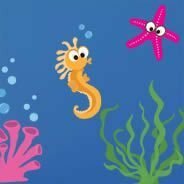 When you put all 4 stitches decals together it curves around amd makes a circle. 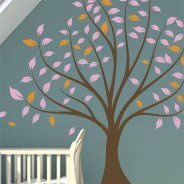 This wall vinyl comes in 5 different sizes. 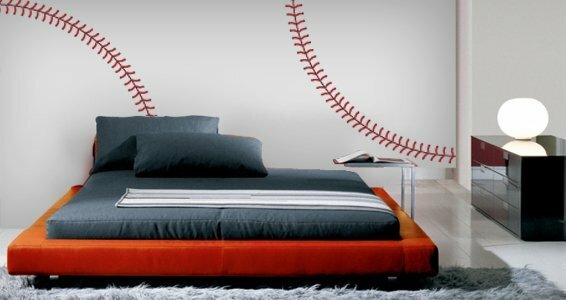 These cool sporty baseball stitch decals will look awesome in your room. 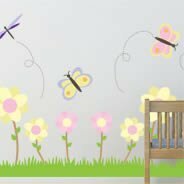 Decorate your boy's room or the family room with this clever design. 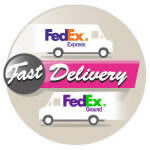 You can easily stick them onto your doors, walls, ceilings, mirrors and windows too! 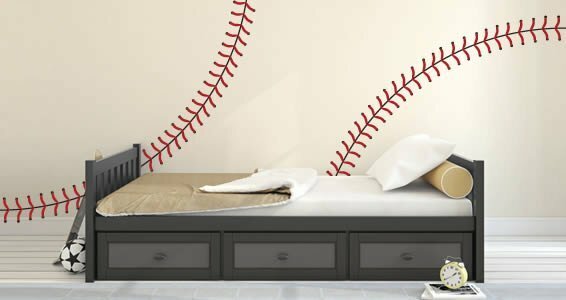 Create a sporty atmosphere and pair this baseball wall vinyl with our other sports decals like the baseball wall decal and the baseball vinyl wall borders. With this themed decor it will definitely be a homerun! The size featured on the picture is the 47”x34” pack. However, if you wish to have the stitches from ceiling to floor, you should select the 66”x47” pack. 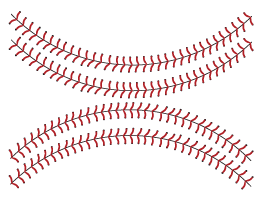 If you are not sure of the sizing, feel free to call us so we can customize your baseball stiches decal and fit your wall space!